Division of Marital Assets and Liabilities on a dissolution of Marriage action in the State of Florida. In dissolution of marriage of divorce actions, it is necessary for your attorney to divide your assets and liabilities or debts. In order to accomplish this task, there are certain steps an attorney must take first to find out what marital assets and liabilities are marital in nature. Marital assets and liabilities are those assets and debts which are accumulated during the marriage and the appreciation of assets that are pre-marital in nature. 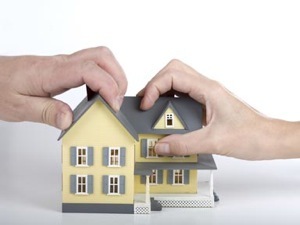 Certain assets and debts which are not considered marital such as property or debts accumulated before the marriage or extra-marital assets and debts, such as things received by an individual through inheritance. So long as these funds are not transferred into joint names they cannot to retain there status as not marital in nature and not subject to division in a divorce. However, transferring of assets or debts both parties names can change the nature of an asset or debt. Additionally, the appreciation in value of certain assets such as Pensions, Retirements, or Profit Sharing or Stock Plans are subject to equitable distribution, but only the portions accumulated from the time of the marriage forward. An Attorney should request a client to provide all relevant documents from their client such as Income Tax Returns, Credit Card Statements, Bank Statements, Pay Stubs of their spouse, documentation of Real Property (Mortgage and Loan Application Documentation) and an Inventory of all personal property including furniture, electronics, motor vehicles, and all other assets. After the client provides documentation, it is still necessary to Request the Production of Documents and Request information pursuant to Interrogatories from the spouse of his or her counsel. Finally, Subpoenas can be used to obtain documentation from third parties such as employers, banks or mortgage companies. The spouse can be subpoenaed to have their Deposition taken either with or without the production of documents. A deposition allows for the questioning under oath of an individual who is believed to be concealing assets. Finally, for clients with the financial ability to afford an expert, a forensic accountant can go through the spouse’s books and documents to determine hidden or missing assets. These experts can prepare reports for the court and find hidden money which could be transferred to family members or concealed in other creative ways. It is critical to determine assets and debts as an attorney. I typically provide my clients with various options based upon their financial means and we make an informed decision together as to all possible steps that can be taken to determination marital assets and marital debts.